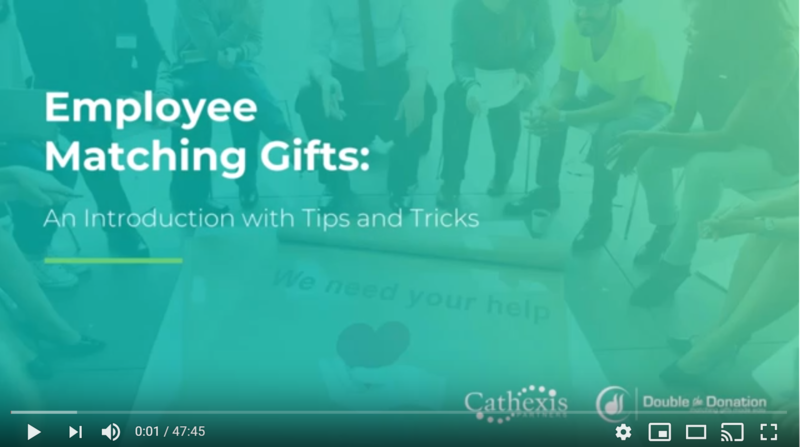 In this on-demand webinar, you’ll learn the definition of matching gifts, discover the process of collecting these donations, and hear examples of how to enhance your organization's matching gift efforts. $4-7 billion in matching gift revenue is left on the table each year — you won't want to miss this presentation from our friends at Double the Donation! © 2017 Cathexis Partners. All rights reserved.